I joined the University of Exeter in 2017 after twelve years at Aberystwyth University, where I was a core member of the team that made Aberystwyth an internationally renowned centre for Performance Studies. I have published on contemporary performance practice, the history of performance art in a British context, performance historiography and archiving, performance and ecology, and performance as a mode of knowledge formation and dissemination. My current research focusses on the historiography of early performance art. The work was funded by a Large Research Grant from the British Arts and Humanities Research Council AHRC (2009-2011) and won the UK’s Theatre and Performance Research Association TaPRA David Bradby Award for Outstanding Research in International Theatre and Performance 2011. I am currently working on a book arising from the enquiry with the working title When Yoko Ono did not come to Wales - Locating the early history of Performance Art. I am a Fellow of the Royal Society for the Arts (FRSA), a Fellow of the Higher Education Academy (FHEA) and a National Advisor to the Arts Council of Wales. I have published widely on contemporary performance, including essays on Acco Theatre Centre (Israel), Goat Island (US), Brith Gof, Eddie Ladd and Simon Whitehead (all Wales); on the history of performance art; on performance and archiving; on performance and landscape; and on performance as a mode of knowledge formation. My research has been supported by the AHRC (Large Research Grant, Network grants, Collaborative Doctoral awards), Sir David Hughes Parry awards, University of Wales Aberystwyth Research Fund and Arts Council of Wales/ National Lottery. My major enquiry into the history of performance art in Wales, What’s Welsh for Performance? Beth yw ‘performance’ yn Gymraeg?, was funded by a Large Research Grant from the Arts and Humanities Research Council (2009-2011) and won the TaPRA David Bradby Award for Outstanding Research in International Theatre and Performance 2011. I am currently writing a book on the history of performance art in the 1960s and 1970s, tentatively entitled When Yoko Ono did not come to Wales: Locating the history of performance art. I am the co-founder and co-convenor (with Dr Dror Harari, Tel Aviv University) of Networking the Histories of Performance Art, an international research group that currently involves 19 researchers from 10 European countries. I have supervised 11 PhD projects to successful completion (many of them funded by scholarships, including 2 projects supported by an AHRC Collaborative Doctoral Award), on subjects such as the performance lecture, journeys as aesthetic practice, the performance of lament, located art practice, digital notation, queer approaches to archiving, curating historical performance art in museums and the history of alternative theatre in the UK. I have examined nearly 30 PhDs, including for Murdoch University (Australia) and the universities of Bristol, Glasgow, Leeds Beckett, Plymouth, Queen Mary University of London, Reading, Roehampton, Royal Holloway, South Wales, Ulster, Wales Trinity Saint David, Warwick, West of England, Bartlett School of Architecture and Chelsea College of Art. 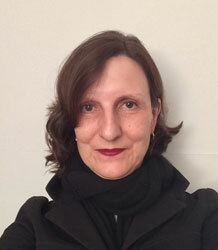 - Judit Bodor, ‘Exhibiting The Ivor Davies Archive of Destruction in Art: an exploration of curating historical performance art in the Museum’; AHRC-CDA scholarship with Amgueddfa Cymru National Museum Wales; successfully defended 2018. - Julie Bomber, ‘Designing Experience: locating the experimental aesthetics within digital performance, game, music and virtual spaces’; departmental PhD scholarship; successfully defended 2010. - Mike Brookes, ‘On a clear day you can see for ever: mediation as form and dramaturgy in located performance’; PhD by publication; successfully defended 2015. - Marios Chatziprokopiou, ‘Displaced Laments: Performing Mourning and Exile in Contemporary Athens, Greece’; Aberystwyth University Doctoral Career Development scholarship; successfully defended 2017. - Reuben Knutson, ‘The Preseli Hills Transcended: historiography and art practices’; EU-KESS Knowledge Economy Skills Scholarship; successfully defended 2016. - Daniel Ladnar, ‘The Lecture Performance : Contexts of Lecturing and Performing’; Aberystwyth University APRS scholarship; successfully defended 2014. - Esther Pilkington, ‘The journey as aesthetic practice in contemporary performance’; AHRC & Aberystwyth University PhD scholarships; successfully defended 2011. - Kerrie Reading, ‘Understanding the Contemporary Value of Past Approaches to Producing Theatre: Toward a Tripartite Approach to Venue – Performance – Document’; AHRC-CDA scholarship with Chapter Arts Centre, Cardiff; successfully defended 2017. - Louise Ritchie, ‘Digital notation: New approaches to physical theatre and its documents’; practice-based; AHRC PhD scholarship; successfully defended 2012. - Lotta Svinhufvud, ‘Kotkaniemi: Family, kinship and personal narrative’; practice-based; departmental PhD scholarship; successfully defended 2008. - James Woolley, ‘Toward a Queer Archive of Performance’; Aberystwyth University Vice-Chancellor scholarship; successfully defended 2017. I have been involved in many public engagement activities nationally and internationally in connection with my research on the history of performance art, among them collaborations with major art institutions in Wales (National Museum, Arts Council of Wales, Chapter Arts Centre); consultations for the Tate, the Vale of Glamorgan Council, the National Eisteddfod and BBC Wales; and public lectures at leading national and international venues, festivals and exhibitions. I have served on the boards of many arts organisations (currently Cardiff Dance Festival), and I regularly mentor artists at different stages in their career. I was appointed a National Advisor to the Arts Council of Wales in 2010, and I was elected Fellow of the Royal Society for the Arts in 2009. My public engagement work was submitted as an Impact Case Study to REF2014. I am also the acting Director of Impact for the Department of Drama. I have a strong commitment to my field, performance studies. In have served twice (2001-2004, 2013-2018) on the Board of Directors for PSi Performance Studies international, the field’s worldwide association for performance scholars and artists, which I helped found in 1998, and I am an active member of other scholarly associations (TaPRA, IFTR, Oral History Society). I have organized and/or convened thirteen international and national conferences and symposia; and I currently sit on several editorial boards for journals (Contemporary Theatre Review, GPS, Performance Paradigm, Theatre Survey, and Inter) and advisory boards for research projects and doctoral training programmes in the UK, Germany, Finland and Portugal. I regularly review grant applications for various European funding bodies, provide peer reviews for many publishers and journals and review promotions applications for universities in the UK, Germany and Finland. A long-term enquiry of mine has been devoted to the disciplinary formation of Performance Studies and has led to a major edited collection on the topic, Contesting Performance - Global Sites of Research (Palgrave 2010, with Jon McKenzie and C.J.W.L. Wee). I am currently external examiner on the BA Drama, Theatre and Performance at the University of Sussex. I have served as external examiner for undergraduate programmes at Glasgow University, Leeds Met, Brunel University and Dartington College of Arts and for Masters at Dartington College of Arts and Queen Mary University of London. Before joining the University of Exeter in 2017, I was Professor of Performance Studies at Aberystwyth University (2005-2017) and Lecturer in Theatre and Media Drama at Glamorgan University (2002-2005). I received my PhD in 2001 from the University of Wales Aberystwyth, following a Masters (Magister Artium M.A.) in Literature, German philology and Musicology from Hamburg University. Between 1985 and 1995 I worked for various theatre organisations in Germany, as dramaturg, production manager and head of press and publicity for organisations such as the Kampnagelfabrik Hamburg, the Internationales Sommertheater Festival Hamburg and the Ruhrfestspiele Recklinghausen. Following this, I worked for three years as research administrator for the University of Wales to help establish Performance Studies international, the main membership association in the field.